Larry Alan Smith, Artistic and Executive Director for Wintergreen Performing Arts says he will leave the post by the end of 2014 after serving in that capacity for 8 years. Wintergreen Performing Arts (WPA) announces that Larry Alan Smith, its Artistic and Executive Director for the past eight years, will step down later this year, following the successful completion of the 2014 Wintergreen Summer Music Festival, to pursue new and expanding professional and personal activities. His official resignation date, pending the naming of his successor, could be as early as 30 September 2014 but no later than 31 December 2014. A committee from WPA’s Board of Directors will begin a search for his replacement within the next month. Dr. Smith is an internationally recognized composer who has also had a distinguished career as an educator and arts executive. He earned his D.M.A. at The Juilliard School, where he trained with Vincent Persichetti, and later taught. He is a former Dean of the University of Hartford’s Hartt School in West Hartford, Connecticut, where he is currently Professor of Composition. He has also served as the President of the School of American Ballet in New York City, and Dean of the School of Music at the North Carolina School of the Arts. 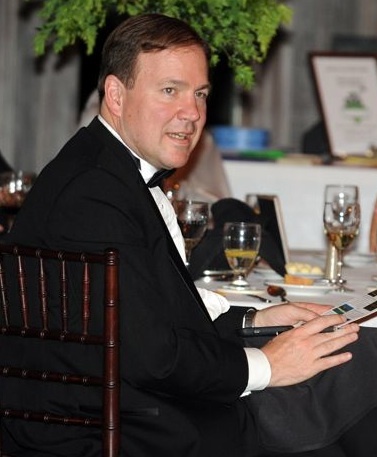 “Larry has been a fabulous artistic and executive director, who has brought Wintergreen Performing Arts and the Wintergreen Summer Music Festival and Academy to a high level of excellence that is recognized nationally and greatly appreciated by his many friends and admirers here in Central Virginia. We are sad that he is leaving but are so happy to have had him with us these past eight years,” remarked Tom Steele, the current President of Wintergreen Performing Arts. Wintergreen Performing Arts says they will begin an immediate search for his replacement.